Charles E. Look, MD, age 89 of Omaha, passed away on April 7. 2019. Charles was born and raised in Sioux Falls, SD. 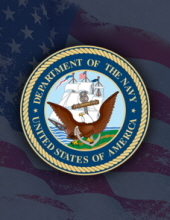 He practiced pediatrics in Omaha for 35 years after serving his country in the United States Navy. Survivors include his wife, Marilyn, sons, Scott and Kip, daughter, Melissa and four grandchildren; Ryan, Aly, Madeline and Charlie. To send flowers or a remembrance gift to the family of Charles E Look, please visit our Tribute Store. Guaranteed delivery before Charles's celebration of life begins. "Email Address" would like to share the life celebration of Charles E Look. Click on the "link" to go to share a favorite memory or leave a condolence message for the family.